All apartments of our network "Romantic Apartaments" are located in the central part of the city (Market Square) and near the station towards the city center. 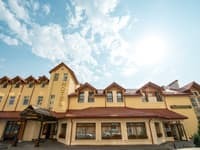 The number of apartments consists of cozy apartments of "luxury" and "standard" and "econom" categories, located both in historic and newer houses. 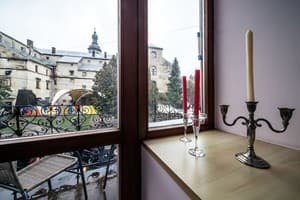 Описание номера: The apartment is located in the historic center of old Lviv, on a cozy street, near the Market Square, where there are many architectural monuments. Description of the room: The apartment is located in the center of the city, in an old house of the times of Austrian construction. A good location of the apartment will allow you to get to the Opera House and Market Square in only 3-5 minutes walk. Near a lot of historical reminders. For the convenience of living close to cafes, restaurants, nightclub Malevich, pizzerias, minimarkets, the market. The bed is equipped with orthopedic mattresses. Number of beds: 2. 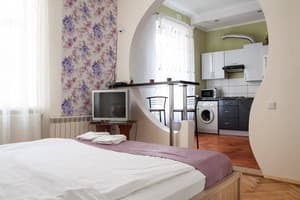 • bed with orthopedic mattress • • gas stove • kitchen with all necessary utensils • individual heating, hot and cold water round the clock • LED TV, microwave, refrigerator, iron, hairdryer • WiFi • bed linen, towels • slippers, personal hygiene products (cute, shampoo, toilet paper, napkins, etc.) • near parking, write out accounting documents! Описание номера: Cozy apartment in bright colors. Описание номера: Two-room apartments are equipped with everything necessary for comfortable living. 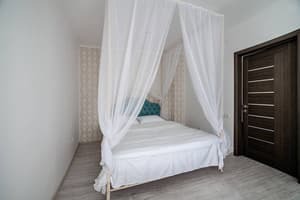 Description of the room: These two-bedroom apartments are located in the heart of the city, in an old house from the times of Austrian development. A good location of the apartment will allow you to get to the Opera House and Market Square in just 2 minutes walk. There are a lot of historical reminders. For the convenience of living close to cafes, restaurants, pizzerias, minimarkets, the market. A beautiful view from the balcony will take you to the ancient atmosphere of the city. Number of beds: 6 (2 + 2 + 2) bed • 2 sofas • balcony with view • bathroom • toilet • gas stove • kitchen with all necessary utensils • individual heating, hot and cold water round the clock • LED TV, refrigerator, iron, hairdryer • WiFi • bed linen, towels • slippers, personal hygiene products (cute, shampoo, toilet paper, napkins, etc.) 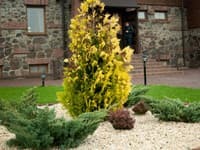 • near parking The price for the weekend and holidays can vary !!! write out the accounting documents!